The activities of CFWF have been carried out in its present form and nature since 1997. The project was then initiated by founders Josef & late Verena Suess with a group of volunteers. 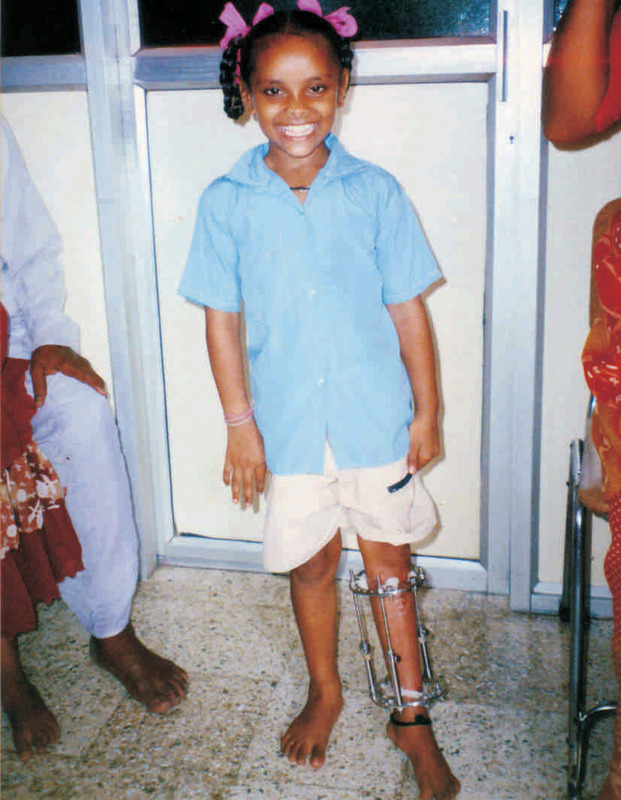 Subsequently an NGO was formed with the name Polio Child Relief Mumbai, a non-profit organization with the aim of providing ‘Free Correctional Treatment’ to children suffering from deformities, mostly due to Polio. Adapting a service to a wider range of Disabled, the name was changed in 2010 to Child & Family Welfare Foundation, simultaneously making the project a registered charitable Trust under the Indian law. While working jointly with several organisations on a citywide Polio-camp in 1997, we came in contact with Dr. P. Desai, who was one of the surgeons at the camp. The plight and misery of the Disabled had touched our hearts deeply. Witnessing first-hand the commitment of Dr. Desai and others, resulting in good results achieved by correctional surgeries of Polio patients, we were likewise motivated to join efforts. In the late 1990-ties new Polio infections started dropping drastically. It was suggested that instead of undertaking massive Polio-camps - now and then, it would be more efficient to have an on-going project and centre where patients could be treated. We were invited by Dr. Desai as volunteers to join efforts and setup a project. The team of PCR-Mumbai started with slum surveys in densely populated suburbs of Mumbai. A network with associates and helpers across the suburban belt grew and subsequently patients started to come to Mumbai for treatment even from rural areas and far away states. Working closely with Dr. Desai and his hospital staff was a good training ground in the medical field for PCR-Mumbai volunteers. The project grew on a small and steady basis and individual care of patients was developed, which brought, with much patience and labour, many success stories. The project was maintained with diligence over the years and requests from needy and disabled children increased. Support for treatments came mostly from individuals, in and out of India, with occasional help from other Charity institutions. However, while the demands increased, the financial means of PCR-Mumbai remained small to this day, leading to the decision to create more awareness of our activities and register the NGO as a tax exempted legal entity in India. The focus of our activity was fieldwork, caring for individual patients, coordinate treatments on an on-going basis. Besides this we took part in a Polio-camp with a section of Rotary Club, Mumbai, we worked also jointly with Lions Club at a local camp. Further, we organised recreational events for Polio-patients to attend and participate in. In 2003 PCR-Mumbai was able to complete a video documentation of our project. Thanks to Family Care Foundation, based in USA, PCR-Mumbai received via their site for the first time needed publicity and awareness. Patients from in and out of India inquired about treatment, individuals volunteered to assist us and universities and students requested information about exchange programs. Several newspaper articles were also published in Mumbai, reporting on our activities. Students of Cambridge University in the UK selected PCR-Mumbai three times as one of the benefactors of their annual Cambridge-RAG fundraising initiative. Upon request by FCF, PCR-Mumbai organised and conducted in 2004 with success in Mumbai a Polio-camp for 150 patients. It was during this challenging time that Verena Suess, cofounder of the project and late wife of Josef Suess battled with cancer. It was her solemn wish that the project, dear to her and in which she worked humbly and enthusiastically, should continue at any cost. After her death, PCR-Mumbai continued its activities, further establishing the project with a smaller, but dedicated team. In 2010 the newly founded charitable Trust; ‘CHILD & FAMILY WELFARE FOUNDATION’ made way for another step of expansion of the charitable activities.